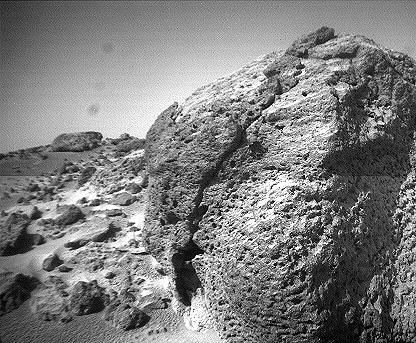 This view of the rock "Chimp" was acquired by the Sojourner rover's left front camera on Sol 74 (September 17). A large crack, oriented from lower left to upper right, is visible in the rock. 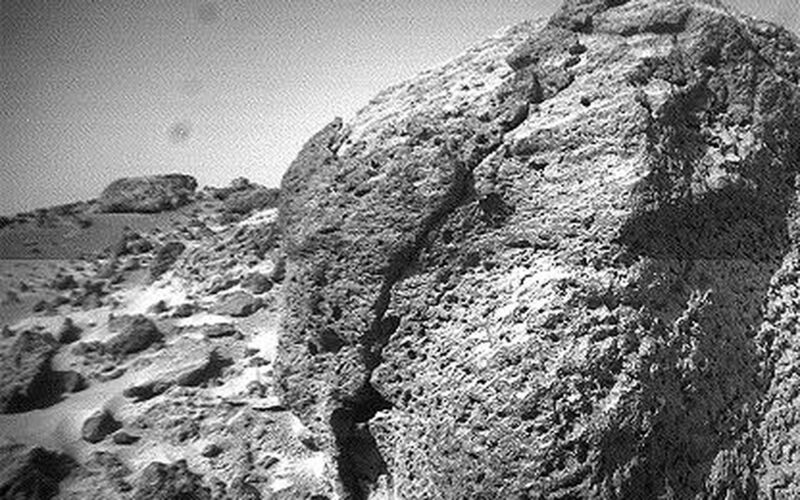 A dark crust appears to cover Chimp in some areas whereas other parts of the rock have a lighter shading. A boundary between the two regions is clearly seen in the upper left part of Chimp. 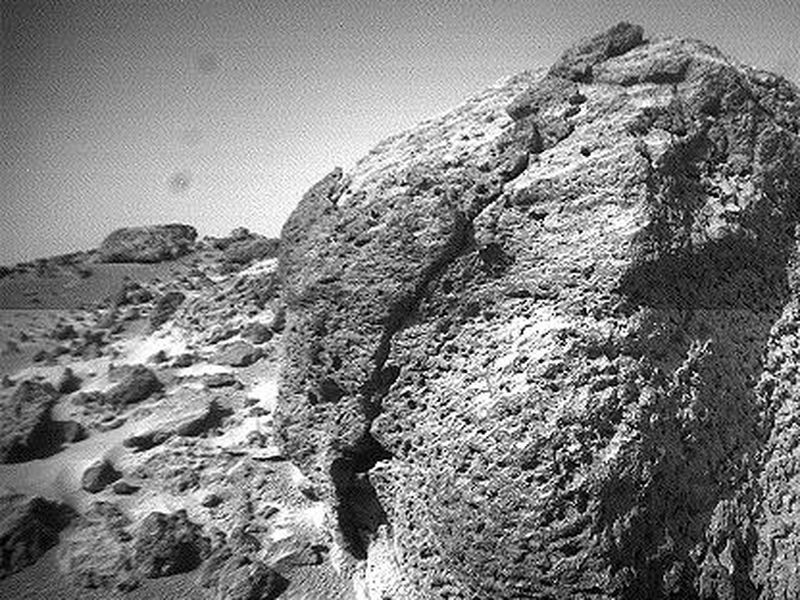 This image and PIA01579 (right eye) make up a stereo pair.